Success!!! And so very good! 1. Cream butter, brown sugar and white sugar together. Beat in egg, water and vanilla. 2. In a separate bowl mix together flour, baking soda and cinnamon. Stir 2 mixtures in together. 3. Add rolled oats and raisins into mixture. 4. Roll into small balls and place on a greased cookie sheet. 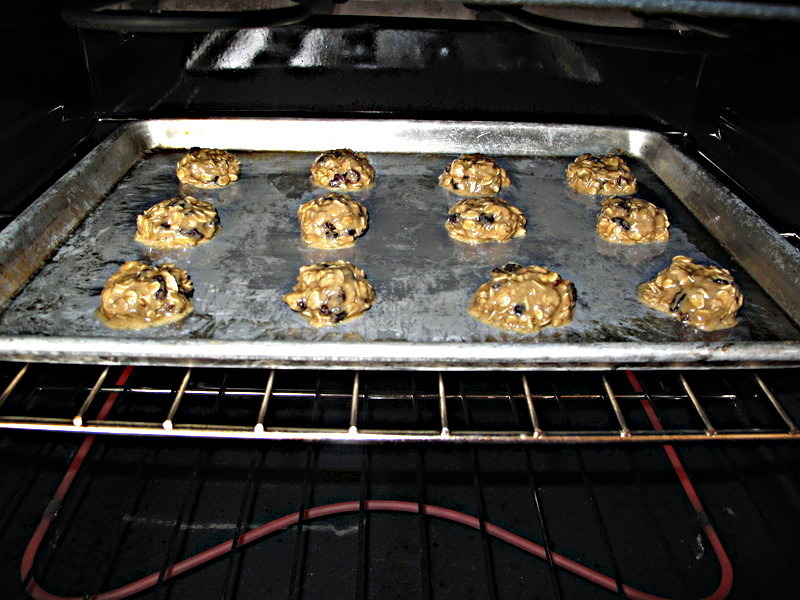 Bake at 350º for about 12-15 minutes. 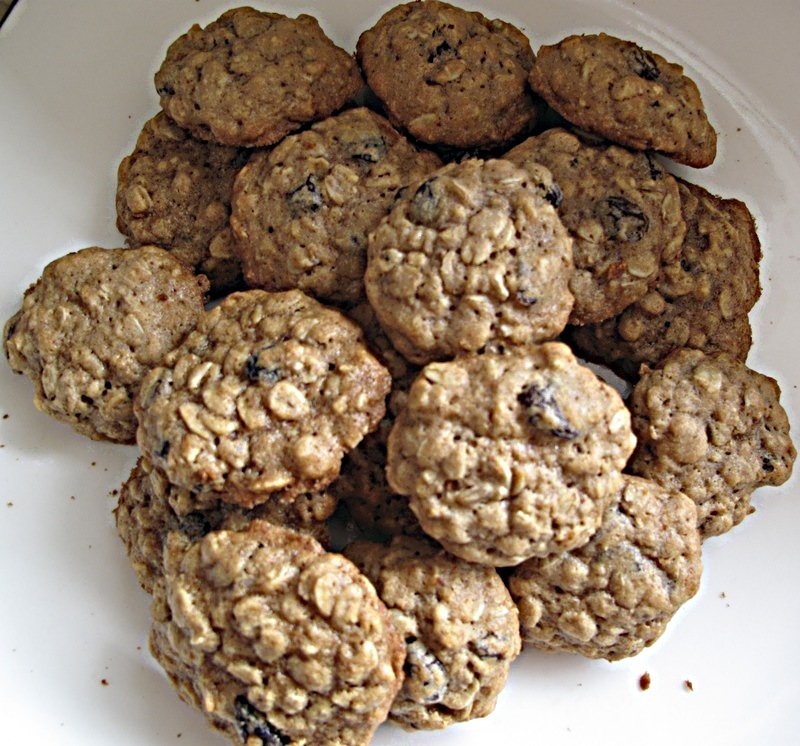 This entry was posted in Baking, Cookies and tagged baking, cookies, oatmeal, raisin, Recipes by Karina. Bookmark the permalink.